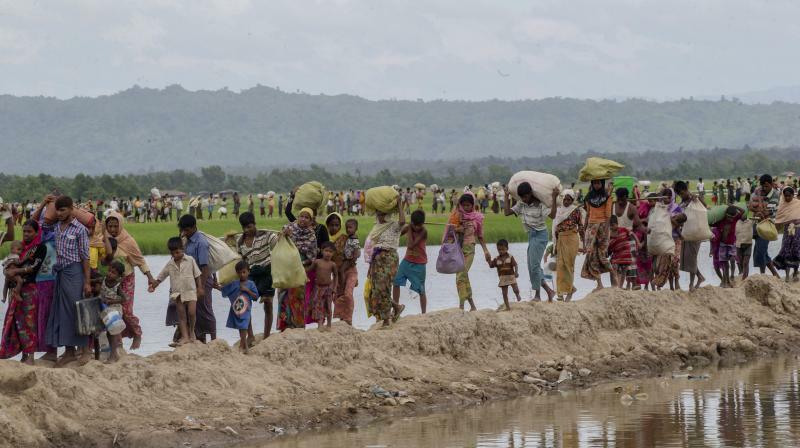 United Nations: A record 68.5 million people have been forced flee their homes due to war, violence and persecution, notably in places like Myanmar and Syria, the UN said on Tuesday. But around 70 per cent of that number are people from just 10 countries, he told reporters in Geneva ahead of the report's launch. The increase was due mainly to births and more Afghans being granted asylum in Germany, UNHCR said. South Sudan meanwhile saw the largest increase last year, with the number of refugees fleeing the world's youngest nation soaring from 1.4 million at the beginning of the year to 2.4 million at the end. And as Israel marks 70 years of independence, there are some 5.4 million Palestinians still living as refugees, it said. Despite the focus on migrant numbers arriving in Europe and the United States, a full 85 per cent of refugees are living in low- and middle-income countries like Lebanon, Pakistan and Uganda, Grandi said.